LIMITED TIME PRICE DROP : FREE!! 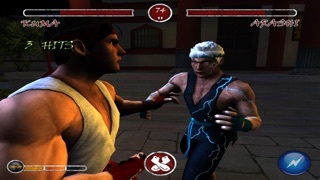 Third person fighting game on Zen Warrior game mode and side view players on Karate mode. Get this BIG update now!! 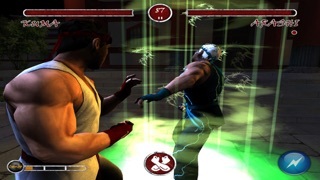 The game puts players into the role of Kuma, a powerful warrior looking for enlightenment and energy equilibrium. Now you can play the new Zen Warrior game mode with awesome features such as combos, special powers, shields, and more! Zen Warrior game mode is based on gestures gameplay. Follow the tutorial to know more about the different gestures and attacks. Want to try harder opponents? choose Hard or Extreme difficulty. 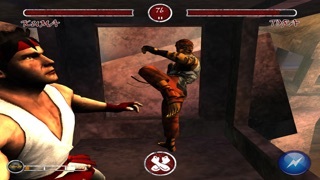 Universal App - Play Zen Warrior on iPhone 3GS, iPhone 4, iPhone 4S, iPad, iPad 2, iPod Touch 3, iPod Touch 4 for a single low price. Optimized for iPhone 4, iPhone 4S, iPad and iPad 2 -- Includes high-resolution graphics that utilize the enhanced visual capabilities of the iPhone 4, iPhone 4S, iPad and iPad 2. NOTE: New game mode is only supported on iPhone 4, iPod Touch 4th gen, iPhone 4S, iPad and iPad 2. 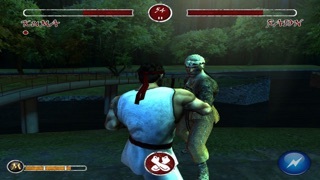 The screenshots showing the third person gameplay are from ZEN WARRIOR game mode, not Karate (side view players). We do NOT recommend this version to iPhone 3G, iPod touch 2nd and 3rd gen and iPhone 3GS users. Download it at your own risk.